The Russian Anti-Doping Agency (RUSADA) yesterday disqualified five race-walkers for doping, including three Olympic gold medalists. RUSADA issued bans of three years and two months to Olga Kaniskina (pictured), Sergey Kirdyapkin and Sergey Bakulin, whilst 2008 Olympic gold medalist Valeriy Borchin was issued with an eight-year ban, and Vladimir Kanaykin was banned for life for second offences. Kaniskina and Kirdyapkin’s bans run from 15 October 2012, meaning the Olympic champions will not be eligible until 15 December this year. This means that Kirdyapkin will be able to defend his 50km title at the Rio 2016 Olympic Games. Bakulin, who won the World Championships in 2011, will not be eligible until 24 March next year, as his ban runs from Christmas eve 2012. 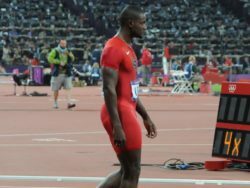 Borchin’s eight-year ban for a second doping offence runs from 15 October 2012 and Kanaykin’s life ban, also for a repeat offence, runs from 17 December 2012. All five have had results cancelled from the years preceding the bans, dating back as far as 2009, due to abnormal performances identified during the course of the investigation. ‘Any action on the medals won by these athletes will be taken by the organisers of the competition – namely the IOC in relation to the Olympic Games, the IAAF and the VFLA [Russian athletics association], read a 20 January RUSADA statement. The World Championship results affected are Kainshkina and Borchin’s 2009 and 2011 wins in the 20km category; Kirdyapkin’s 2009 win in the 50km and Kanaykin 2011 silver medal. The IAAF told the Sports Integrity Initiative that it is investigating whether the race walkers concerned – who have been suspended since 2012 – have been competing whilst banned. “The IAAF can confirm that it has been informed by multiple sources that one or more athletes may have competed in a Russian race in December while under sanction”, said an IAAF spokesperson. “The IAAF medical and anti-doping department are investigating those allegations. We will not comment further about that investigation other than to confirm that, if proven, the IAAF Rules are very clear on any such breaches.” IAAF Rule 40.12(c) mandates that if an athlete is proven to have competed whilst banned, results from that competition shall be annulled and a new ban, equal to the original period of ineligibility, can be imposed, depending on the circumstances.